There are some museum brands that are recognised all over the world. If you say MoMA or The Smithsonian, most people will already have an idea of what these institutions represent in their minds. A lot of this is to do with the history and reputation of the museum. But another factor is how the museum brands itself and how far that brand is able to travel. Take the Victoria and Albert Museum in London for example. This institution is so well known that they only need to use their initials as a nickname. They have embraced this and made it a key part of their branding. They refer to themselves as the V&A in all their marketing and social media, and have chosen a striking, simple logo. It makes their brand instantly recognisable to audiences everywhere. What is branding, and why is it important to museums? Branding does not just mean a logo. When we talk about a ‘brand’ we mean how people see an organisation. It is a way for companies and institutions to communicate to the public who they are and what they are all about. Branding can include a logo, tagline, social media accounts or even a whole new marketing strategy. A brand is what makes one business different from the next. Good branding sets an organisation apart and makes it noticeable. For museums, there is often a challenge to get more visitors through the door and to reach new audiences. There are many institutions who have worked hard to create a brand identity. This helps them to stay current and also to communicate with a wider audience. Here are some great examples of museums who have used their branding to stand out from the crowd. The Natural History Museum first opened in 1881. It is well-known throughout the world. Both tourists and locals regard it as one of the must-see attractions in London. You might think that such a venerable institution would have no need to brand themselves. Or that if they did, they would be old-fashioned in their approach. However, their most recent marketing campaign portrayed their brand as fun, exciting and welcoming. Picture a giant whale skeleton on the side of a bus, proclaiming “whale hellooo there” and you’ll have some idea of how striking this branding exercise was. Museums are always looking for ways to make their collections come alive. This marketing campaign went one step further and gave some of the specimens a voice. It also used memes and internet language on the posters and adverts. The aim of this was to keep the brand current and appeal to younger generations. This campaign proved successful, as the museum experienced an increase in visitors. In fact, they had over 600,000 visitors through the door in one month after the campaign went live. This was the most the museum had ever seen for a one-month period. At the end of the year, visitor numbers were up by 24%. The company behind the campaign, SomeOne in London, were commissioned to create the year-long campaign. Their brief was to revitalise the tone, look and feel of the museum. Another key part of their brand is the bold logo with simple type. The ‘N’ can be filled with many different colours and patterns. This represents the variety of displays that can be seen on a visit to the Natural History Museum. In 2012, one of Amsterdam’s grandest and most iconic museums underwent both a facelift and a new branding exercise. They chose to commission an entirely new typeface, named de Rijksmuseum. This has since become synonymous with the museum. The new logo, in this bold font, was unveiled before the newly renovated building was opened in 2013. This helped to generate a buzz ahead of the reopening. The Rijksmuseum was established in 1800 and is home to over 900,000 items. The collection includes many masterpieces from the Dutch Golden Age. It had been operating from the same building since 1827 and the refurbishment took a decade. The timing of the branding was a great way of reigniting people’s interest after such a long building project, one that had been dogged by several issues and delays. Designer Irma Boom explains, “My starting point was the fact that the Rijksmuseum is a national museum with international appeal. The design is clear and powerful and anchors the museum in the present.” Along with the clean new logo, she came up with a colour palette which reflects the tones of some of the museum’s highlights. This is used across a whole range of marketing materials for the museum. It gives the museum a unified brand and image. For a museum which prides itself on a constantly changing collection of new pieces and upcoming artists, an exciting new rebrand made complete sense. Like the Rijksmuseum, it was timed to coincide with a new building. The aim of this was to generate more interest and encourage people to come and take a look. Founded in 1977, the New Museum is a leading destination for new art and new ideas. 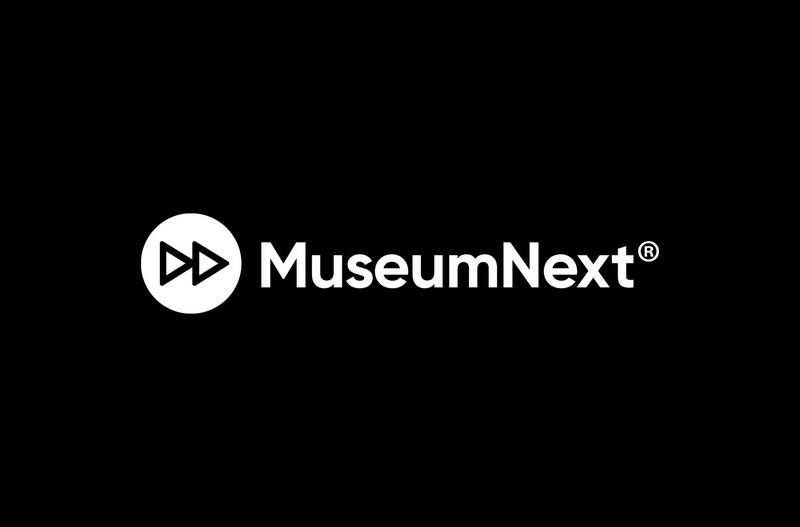 The new logo dispenses with the words “of Contemporary Art” and uses a simple font to highlight the remaining words, “New Museum”. The word “new” repeats itself throughout their branding. This communicates that it is a key part of their identity and the image that they want to convey to the public. The logo has a space to insert brightly coloured words in the centre of the black text, to highlight different aspects and collections. Even the design of the building echoes the ethos of new art and new ideas. The seven-story, eight-level building was opened in 2012. The Tokyo-based architects behind the design, Kazuyo Sejima and Ryue Nishizawa, have said, “The New Museum is a combination of elegant and urban. We were determined to make a building that felt like that.” The New Museum has also made use of the building’s unique shape in their branding. The rebrand project was a success, with an impressive 600% increase in visitors shortly afterwards. The Metropolitan Museum of Art is commonly known all over the world by its nickname, The Met. The museum decided to capitalise on this when they rebranded in 2013. They have previously stated that they believe this recognisable nickname is one of their most powerful assets. The new logo is simple and striking, compared to the previous logo which was fairly intricate. The museum is now referred to as ‘The Met’ on all its marketing and social media accounts, despite the fact that the official name has not changed. This helps to communicate one single brand image. The Met is the largest art museum in the United States. It has three locations in New York city. One of the purposes of the rebrand was to give these three sites a unified image. The new logo is now used across all three. The Asian Art Museum was opened in San Francisco in 1966. It is now one of the largest museums in the Western world dedicated exclusively to Asian art. In fact, it is one of the most comprehensive collections of Asian art in the world. In a bid to increase visitor numbers, the museum underwent a rebranding exercise in 2011. The previous logo was a little complex, but the new design is bold and simple. The more modern look and feel echoes the museum’s aim to combine ancient history with modern life. The upside-down A represents a new way of thinking and an innovative approach. It is also the mathematical symbol for “everything”. This communicates the sheer range of their collection, from ancient artefacts to modern pieces. Similar to the Natural History Museum, the use of a hollow letter lends itself to different uses. It is often filled in with various patterns and colours from the collection. Branding can be a valuable tool for museums. When branding works, it can bring in extra visitors, create a buzz and generate more publicity. A good branding strategy encompasses the obvious aspects – the logo, the building, marketing. But it also includes things like social media branding. Social media accounts such as Twitter provide a great opportunity for institutions to talk directly to the public. Where this is successful, museums have used a unifying tone of voice and message throughout their communications. This ties in with their overarching brand identity. Branding is not just a pretty logo or interesting tagline to put on mugs and tote bags. A successful brand communicates some of the essence of the organisation. These examples show just a few of the museums who have successfully created a brand identity. They have devised a way to stand out from the crowd, be it through new logos and designs or clever marketing campaigns. They make it clear who they are and what they stand for. Their brand identity helps them to communicate with their audience. Museum Branding is one of the issues we’ll be discussing at the Museum Marketing Summit this year. Find out more HERE.